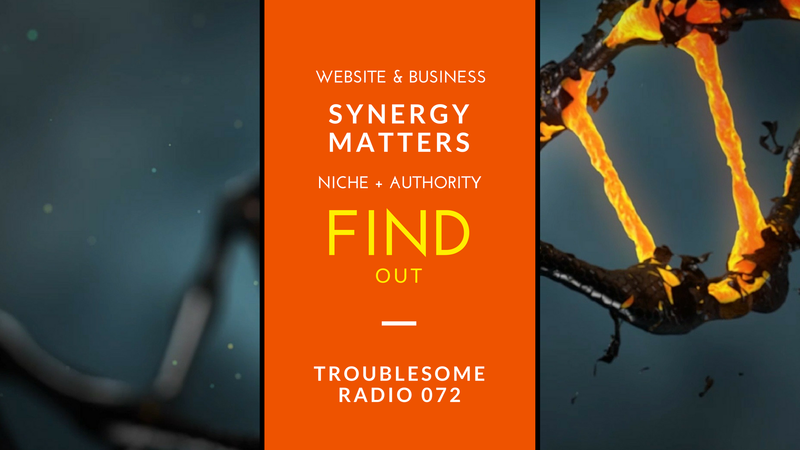 In episode 72 of Troublesome Radio, I dig into what I've dubbed business synergy. Basically, it makes sense to build sites and businesses in areas that you have some experience in. If the market is there---that's important, too. Previous podcast/video detailing the 1 site, 1 day challenge (this Wednesday!). Make sure to like + hit subscribe! PS: If you're looking to get the next leg up in business, I can help you get started with my Solutions package.